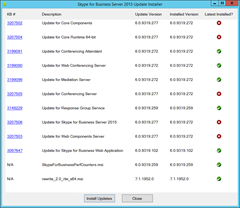 This February 2017 update takes the server from 6.0.9319.272 to 6.0.9319.277 & updates 5 components on my Standard Edition Front-End. 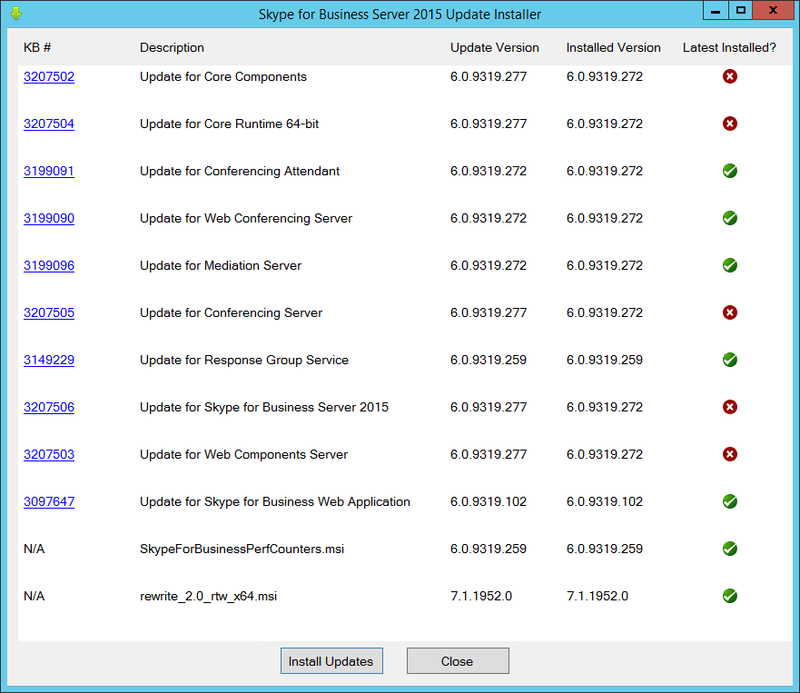 The KB reports “This update enables Location-Based Routing to support the Skype for Business mobile clients” – as it also did in the November update. 19th February 2017: This is the initial release. Description says: When you search for a contact in Microsoft Skype for Business Server 2015, display name of the contact isn’t shown in the search result . This issue occurs because the Unified Communications Web API (UCWA) doesn’t return display name in the search response. I mean is this serious??? Does anybody have any idea what the hell RTP and RTCP… MUSING (?!!) is ? My best guess is it’s a typo and it’s a “muxing” problem.